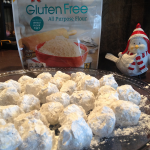 gift ideas for foodies – Get Cooking! I shop for Christmas gifts throughout the year. For one thing, when you have a large family, it’s honestly the only way you can truly do justice to your inner Santa’s elf – especially if you tend to go overboard like I do. But, if we’re being honest, the thing I enjoy the most about year-round shopping is that it makes Christmas last year round. THAT floats my boat. One place I watch closely is Amazon’s Daily Deals. Each day I look to see if there’s anything that needs to jump in the cart – either for myself, birthdays, or my beloved Christmas closet stash. Today’s deals are pretty darn impressive. I rounded up the ones that are foodie related because I don’t think you’ll want to miss these. 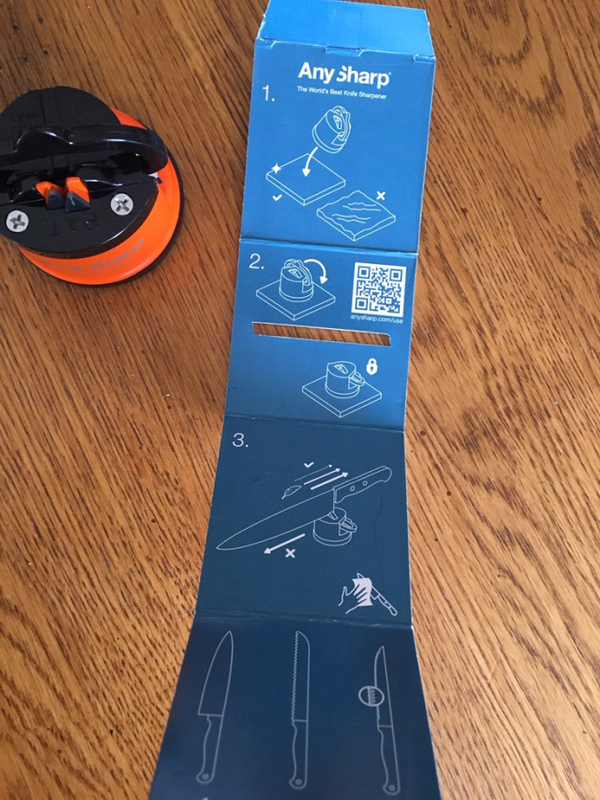 Pictured at the top is the Etekcity Digital Food Scale. It lists at $50 but today it’s $16.89. I know, right?!?! That’s 66% off – and most definitely qualifies for a great deal. Click through the link to grab it while it’s this cheap. 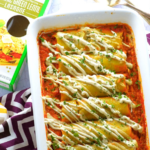 Another great deal today is a subscription to Rachael Ray Everyday. 10 issues are normally close to $40 but today they’re 87% off – you get the subscription for $5. Unreal. When you click through to the Daily Deals, glide through the pages – you’re going to be blown away by the savings. Every now and again, a couple of my greatest loves will join up and “dance together.” It’s a phenomenon that leaves me giddy for days. I have had a long-standing obsession with black pepper and even collect pepper grinders. I also collect cookbooks – truth be told, my world revolves around them. 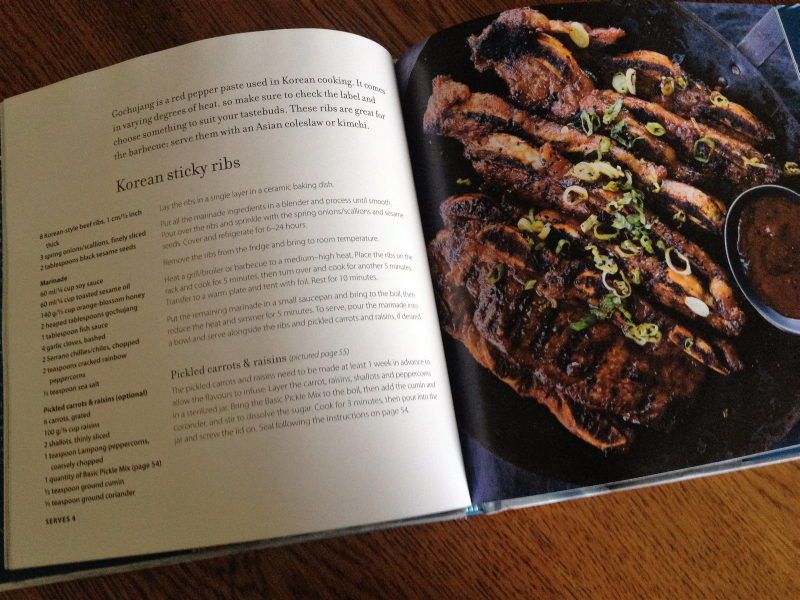 When the cookbook arrived, I was thrilled to see that it was even more beautiful than I’d expected. 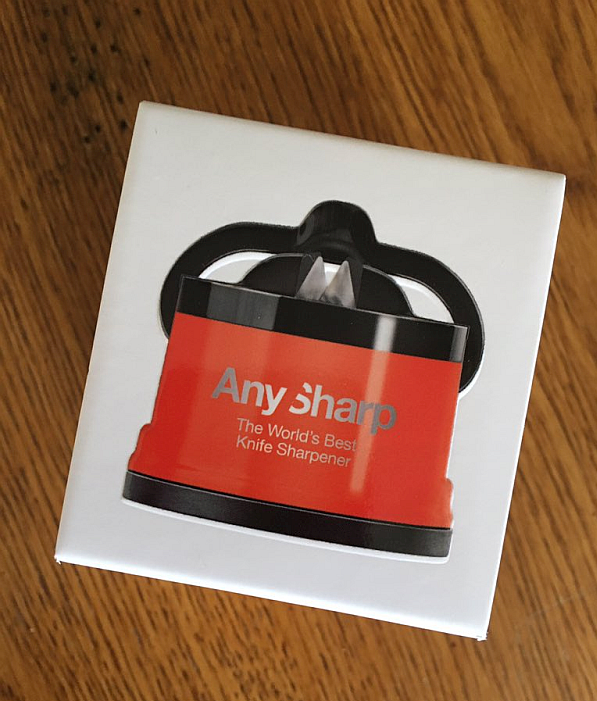 Knowing it’d be prominently displayed alongside my pepper grinder collection, I hoped for a beauty and I got a beauty. By far the most frequently used spice; pepper adds an excellent depth of flavor to nearly any savory dish, and an extra fillip to many sweet dishes as well. Making use of exciting varieties and styles of black peppercorns, including single-estate and gourmet varieties such as Malabar from India, Lampong from Indonesia and Tellicherry from Goa. Chinese szechuan and Japanese sansho also get a look in making this collection of delicious recipes ideal for the home chef who wants to make the most of this essential seasoning. Wonderful Peppermill Mixes – Moroccan Mix with Dried Rose Petals, Dried Hibiscus Pepper, Citrus Pepper Mix, Eight-Spice Japanese Chile Seasoning and Smoked Pepper & Chilli Mix. 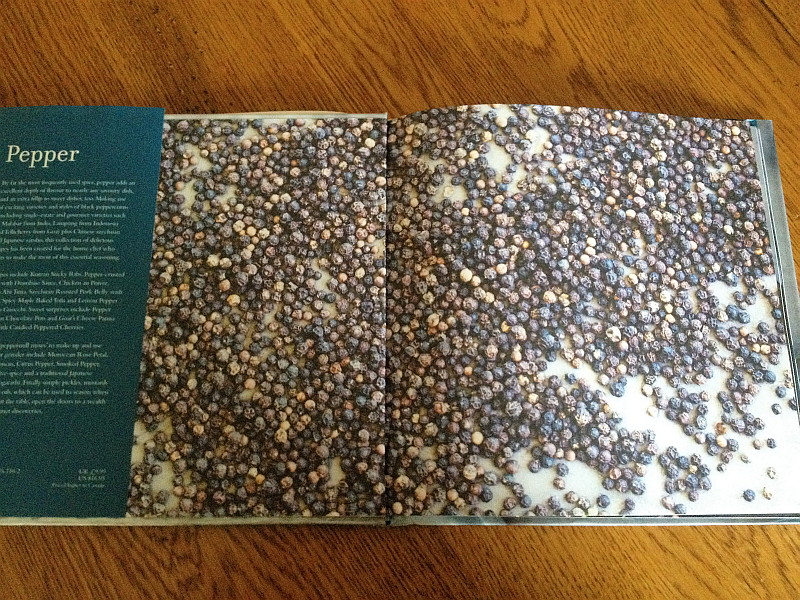 Pepper: More than 45 Recipes Using the “King of Spices” is filled with big, colorful, and gorgeous photographs. I know I’m a “pepper fanatic,” but I would seriously consider framing these beautiful pictures and hanging them on my kitchen wall. They’re that spectacular. Then again, I’d have to take this beautiful cookbook apart to do so, and that’s not going to happen. 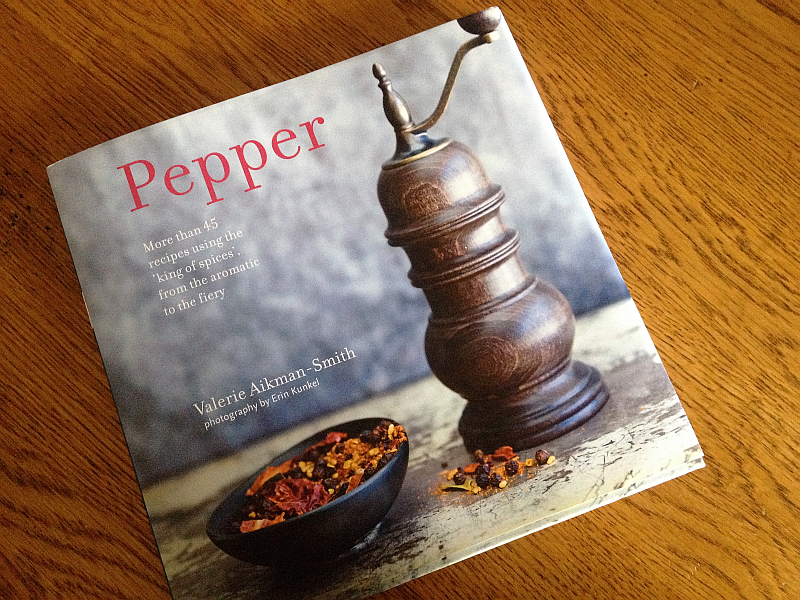 Read more about Pepper: More than 45 Recipes Using the “King of Spices” on Amazon and order your own copy today. 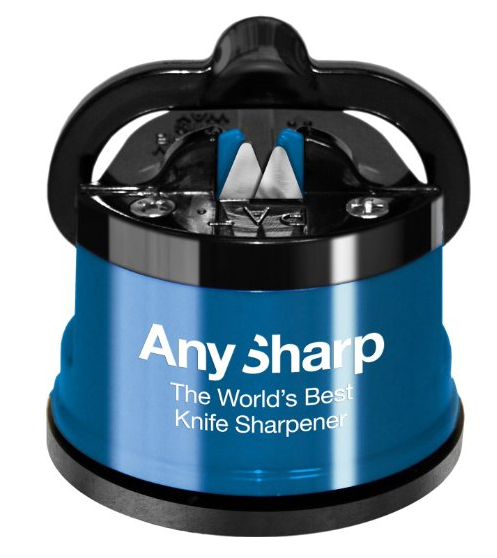 It’d also make a gorgeous (and much appreciated) gift for any cook in your life. If, that is, they’d enjoy a GORGEOUS cookbook that’s packed with delicious, original, and pepper-y recipes… and, come on, who wouldn’t?! Top 10 Reasons Cookbooks Will Never Become Extinct! As someone who, at any given time, has at least two drinks (any combination of coffee/tea/hot chocolate/coconut water) following her around, I love coasters madly. Seriously, the more the better – that way, they’re ready and waiting for me in each of my favorite spots. All my drinks and I have to do is show up. Like everything in my home, kitchen, and life, I like for my drink coasters to have personality. The adorable and colorful Silicone Button Coasters definitely answer that call. When I first saw them, I thought of my youngest daughter, Stephany. She used to collect buttons and had a collection numbering in the thousands. I think she stopped collecting them because, let’s face it, there isn’t much of a challenge to collecting buttons – they’re everywhere, after all. The set of four arrive in “random” colors, which is the only thing I don’t love about them. Granted, I’m a Picky Penny, but I’d like to know what colors I’m getting. Reading through the comments, you apparently stand the risk of getting “double-up” colors. Again, it’s the Picky Penny in me speaking, but I think special care should be taken on their part to ensure that each customer receives four different colors. Having said all of that, they are impossibly cute nonetheless. When it comes to writing cookbook reviews, I always love to give my first impressions of a cookbook. 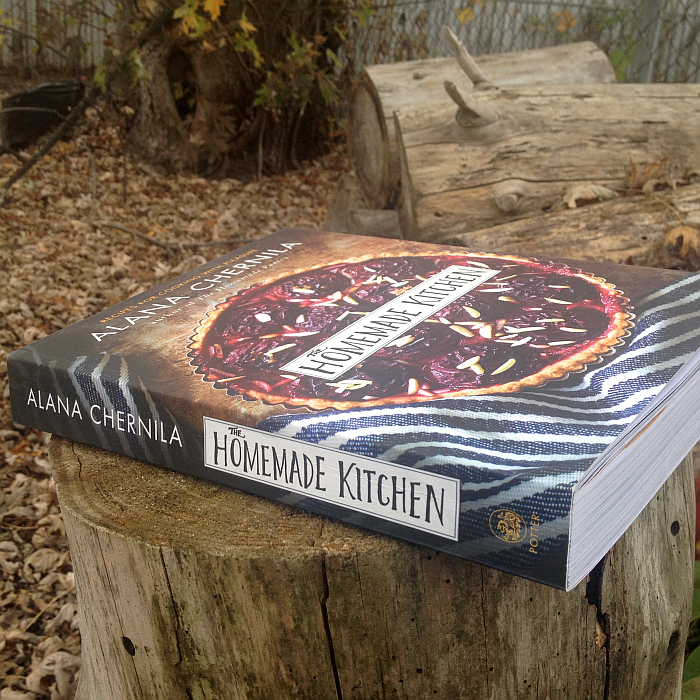 When The Homemade Kitchen by Alana Chernila arrived in the mail, my first thoughts involved how beautiful the book, itself, is. The colorful cover is as durable as a “hardback” but with flexibility and the book is filled with big, beautiful photographs. Naturally, as wild as I am about a great looking cookbook (and in this case visually stunning is closer to the truth), what really matters is what’s inside the cookbook. The content. The heart of the matter. Alana Cherinila (who also authored The Homemade Pantry: 101 Foods You Can Stop Buying and Start Making ) has put together an excellent cookbook. I’ll even go one further. 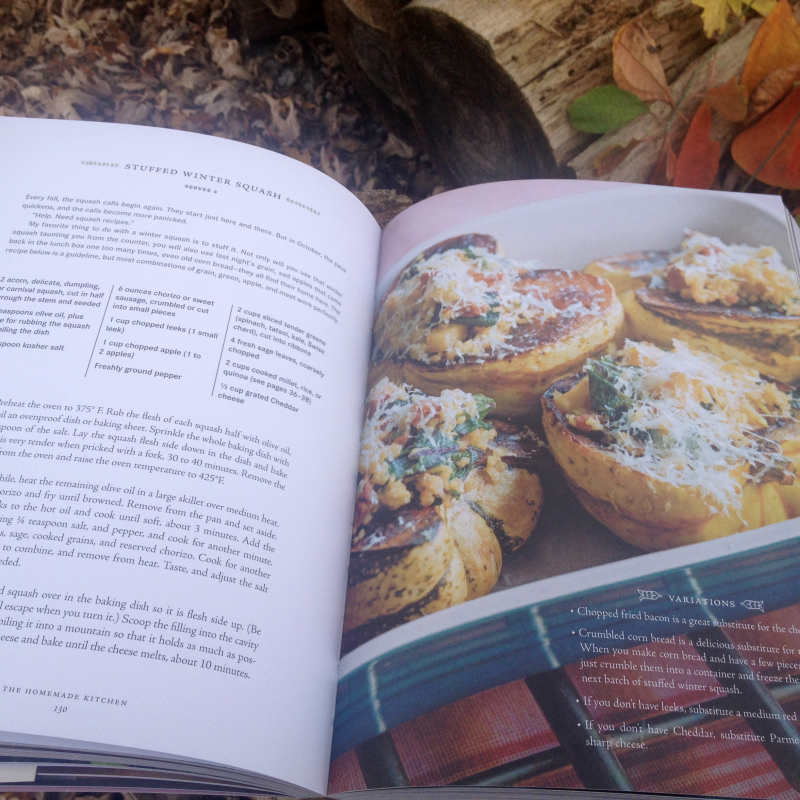 After falling in love with the appearance of the cookbook, I sat down to read it. When I finished, the first word that came to mind was PERFECT. This is a PERFECT cookbook. First of all, the recipes. 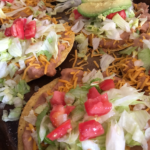 The recipes in The Homemade Kitchen somehow manage to be easy enough for beginners yet challenging enough for those of us who have been cooking for…. nevermind how long. The recipes are both creative and comforting. They will appeal to everyone in the family – young and old alike. One of the reasons for this is the author has ridiculously adorable young children. When you have children, it’s pretty essential to know what young people will eat. Start where you are. Feed yourself. Do your best, and then let go. Be helpful. Slow down. Don’t be afraid of food. Alana Chernila has these phrases taped to her fridge, and they are guiding principles helping her to stay present in her kitchen. They also provide the framework for her second book. In The Homemade Kitchen she exalts the beautiful imperfections of food made at home and extends the lessons of cooking through both the quotidian and extraordinary moments of the day. 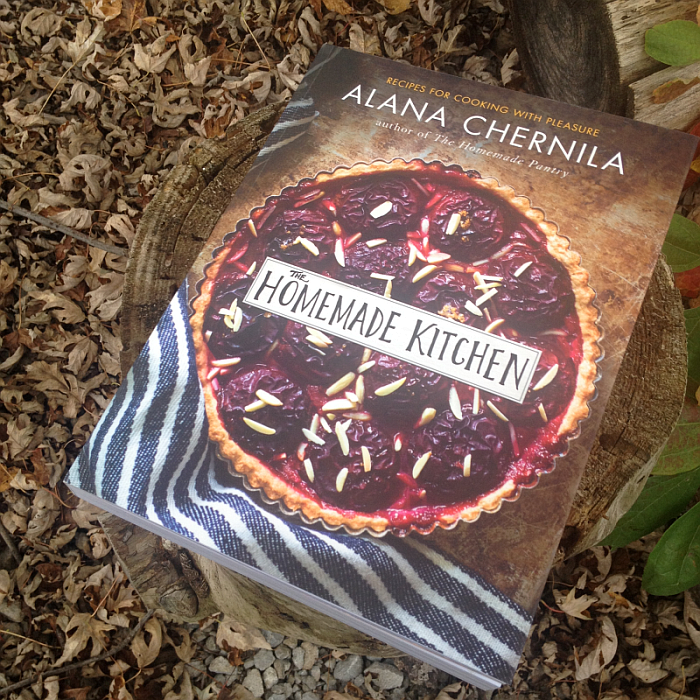 Alana sees cooking as an opportunity to live consciously, not just as a means to an end. I write tons of cookbook reviews on Get Cooking and, as you may know, I’ve collected cookbooks for over 20 years. I know that there are a lot of great cookbooks out there. Truth be told, I’ve had the “this is a perfect cookbook” reaction to a few. But, I simply have to say this: The Homemade Kitchen is totally unique and unmistakably special in several ways. There’s a personal feel that I love to distraction. In The Homemade Kitchen, the reader is brought into the author’s home and introduced to her family (which includes a happy, beautiful dog you’ll love). A person’s home and family are their most valued, priceless, ans sacred things in their life. When they “let you in,” so to speak, to their world, it’s a privilege and an honor. The pictures, the stories, and all that they entail give the book a very warm, welcoming feeling – a personality that will cause a lot of cookbooks to suddenly seem cold and uninviting. There are more than just recipes. 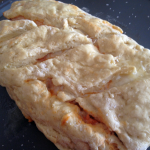 Yes, the recipes are out of this world and you will use them often – as in again and again. But there’s so much more to The Homemade Kitchen. As I listed above, there are a ton of “How to..” sections. The “How to Cook a Vegetable” section and the one that follows it, “How to Turn Fruit Into Jam” would be worth the price of the cookbook alone! Perfect recipes. Perfect approach. Perfect information. Perfect cookbook. Find The Homemade Kitchen on Amazon. Believe me, that’s something you’ll want to do right away. ALANA CHERNILA writes, cooks, teaches cheese making, and blogs at EatingFromTheGroundUp.com. She lives with her husband and daughters in Western Massachusetts. 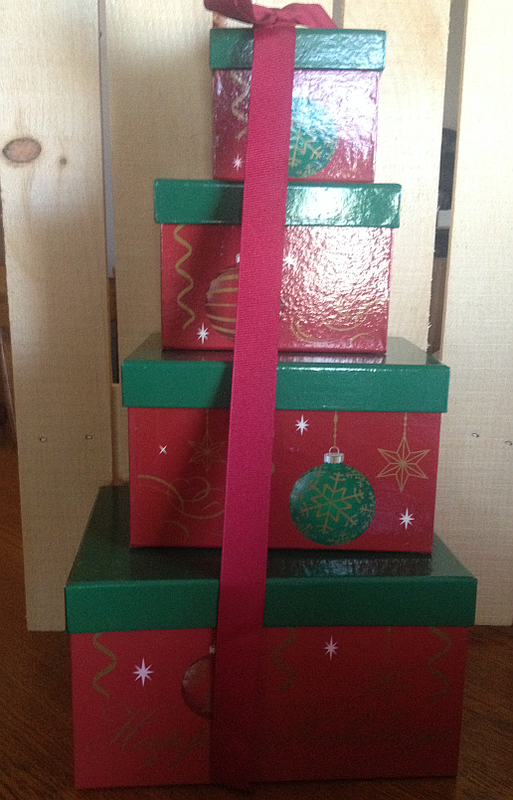 A few days ago, I was sent a beautiful Christmas Ornament Gift Tower to review on Get Cooking. I knew it was on the way, so I was watching for it. I didn’t, however, realize it’d get here so soon. Gourmet Gift Baskets doesn’t mess around – they’re FAST. Their website is absolutely packed with beautiful (and delicious) gift ideas for anyone on your gift list – whether it’s Christmas, Hanukkah, Kosher, Easter, birthdays, Valentine’s, Mother’s Day, Father’s Day, anniversaries.. okay, you get the idea. You need a gift? 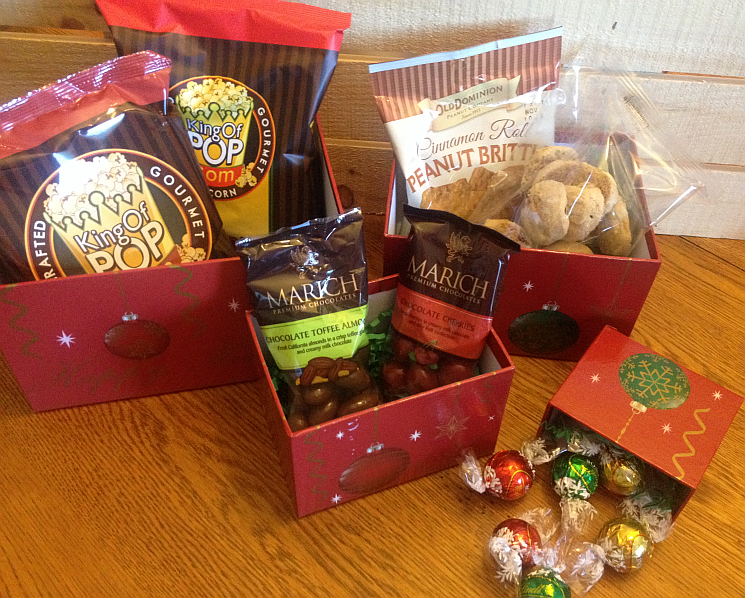 See Gourmet Gift Baskets. Since it’s most definitely the “Most wonderful time of the year…” we’ll focus on Christmas right now. While there are countless gifts to choose from, the one I want to tell you about today is the Christmas Ornament Gift Tower. Needless to say, before buying a gift set that includes food, make sure your recipient doesn’t have food allergies or restrictions that’d keep them from enjoying all of their gift. Gourmet Gift Baskets does an excellent job of clearly listing each food item included, so you can always check first. The Christmas Ornament Gift Tower is a Real Beauty! • (2) Lindor White Chocolate Truffles by Lindt & Sprungli – Elegant truffles composed of smooth white chocolate shells that wrap around centers of creamy white chocolate. 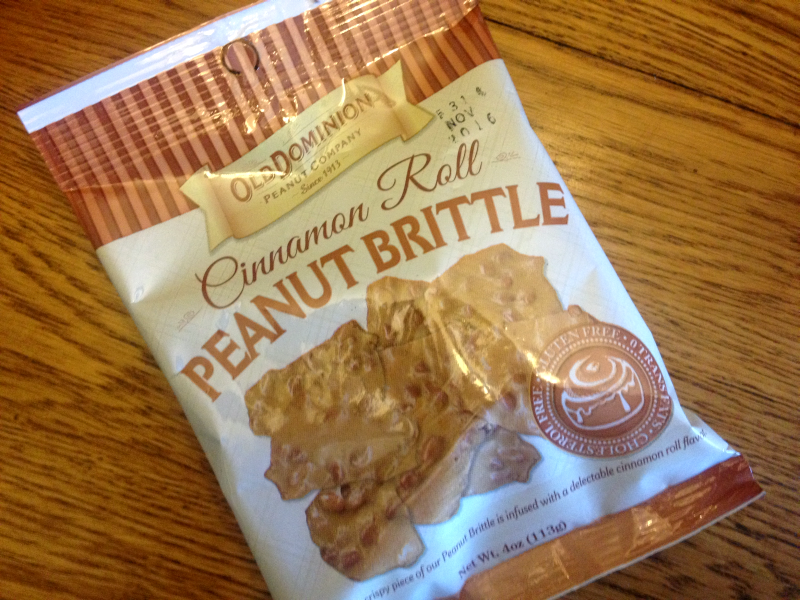 • Cinnamon Roll Peanut Brittle by Old Dominion – 4 oz. – Classic peanut brittle with a kick of cinnamon. • (2) Lindor Milk Chocolate Truffles by Lindt & Sprungli – Irresistible milk chocolate shells that cloak creamy milk chocolate truffle centers. • Chocolate Covered Cherries by Marich – 2.3 oz. – All natural, delicious cherries covered in rich chocolate. 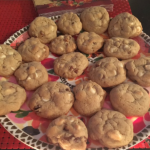 • Chocolate Chip Cookies by Kimball Lake Bakery – 4 oz. – Irresistibly crisp chocolate chip cookies that are created according to a family recipe. • (2) Lindor Mint Chocolate Truffles by Lindt & Sprungli – Crisp shells of milk chocolate that enrobe exquisite centers of mint-infused white chocolate. • Cinnamon & Brown Sugar Kettlecorn by KingOfPOP.com – 1.3 oz. – Crisp gourmet kettle corn that’s lightly coated with sugar, sprinkled with oil, and dusted with cinnamon. • Chocolate Toffee Almonds by Marich – 2.3 oz. – Toasted almonds, covered in smooth butter toffee and then coated in silky milk chocolate. 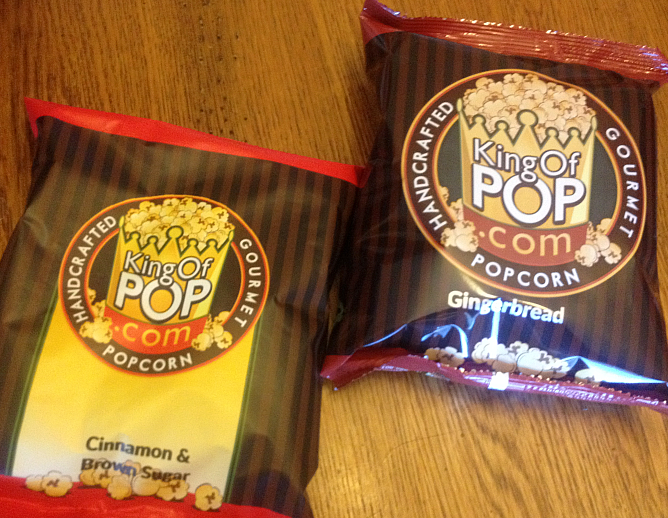 • Gingerbread Popcorn by KingOfPOP.com – 1.1 oz. – This is what you get when delicious Christmas gingerbread cookies collide with gourmet popcorn. 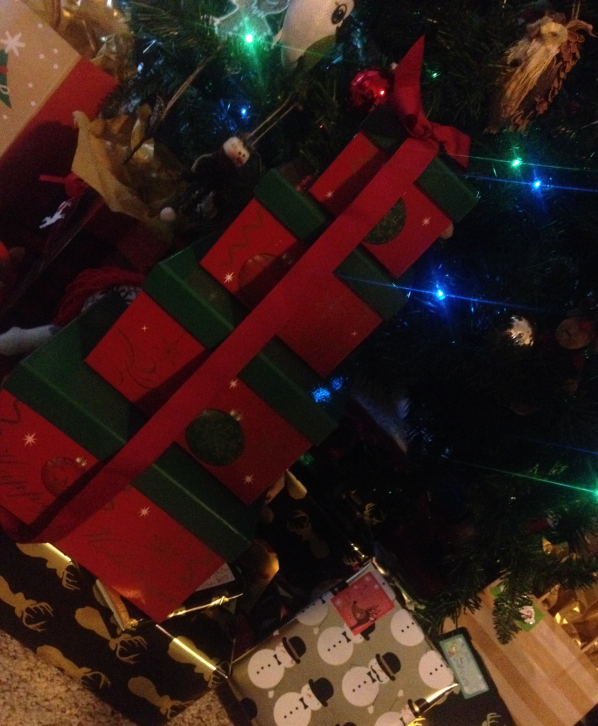 As you can see from the pictures, the gift set is bright, colorful, festive, and wonderfully Christmas-y. In fact, it’s perfect to give as is with absolutely no additions or subtractions. If, during shipping, the red ribbon falls off, simply put it back on. If you give the Christmas Ornament Gift Tower as a gift, not only will its new owner have delicious candy, popcorn, and cookies to enjoy for days, they’ll have four sturdy, beautiful boxes to reuse – either for storing Christmas ornaments or bows or for gift giving. Since I was able to enjoy the gift tower, first hand, I’m using the bigger boxes to hold baked goods I’ll be giving as gifts. The smallest box has found new life as a decoration (sitting beneath one of our miniature trees). I did have a small bear sticking up from it but my cat apparently had other uses for the bear. The smallest box would also be ideal for holding peppermints or candy canes. The goodies included in the set are fantastic. I am a die-hard peanut brittle fanatic, so I was THRILLED to see the words “Gluten Free” on the front of the bag. Most of the food in this gift set is not gluten free, but the one thing I most wanted to be gluten free (the peanut brittle) was, so I was happy. It’s seriously addictive and unexpectedly delicious. I’ve already done a little research on where I can find more! For whatever reasons, receiving gift baskets, gift boxes, and gift towers such as the one reviewed here is just extra fun. The gift, itself, is gorgeous, for one thing. 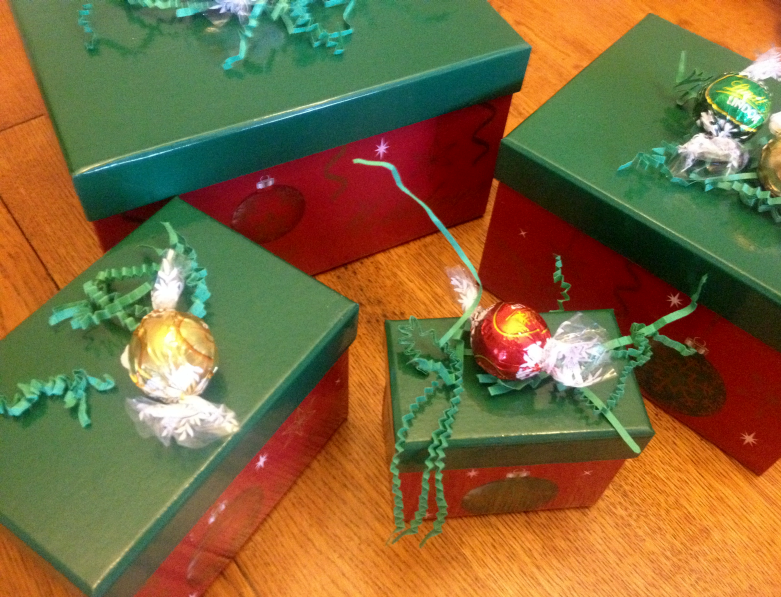 But there’s more than just the great looks of the gift – and there’s even more than the deliciousness of the goodies. There’s even more than the beautiful boxes, which admittedly I’m kind of obsessed with. It’s just fun.. as in kid-like fun.. to sort through a gift set like this and see what all you got. Who doesn’t love a throwback to what it felt like to be a kid on Christmas? See Gourmet Gift Baskets for tons of great gift ideas, including this wonderful Christmas Ornament Gift Tower. I’m not sure where this Prepara IPrep Tablet Stand and Stylus has been all my life, but I’m tickled strawberry icing pink that I’ve found it now. Everyone has their favorite “go to” hobby or pastime, right? The activity that, while engaged, makes the individual smile inside and outside. Mine is cooking and baking… basically anything involved in creating food and or drinks (tea, tea, and more tea) in the kitchen puts me in a state of bliss. While I love creating my own recipes, I also very much love cooking recipes created by other passionate cooks. If the recipe I’m trying at the time happens to be in one of the cookbooks in my cookbook collection or in an issue of one of my favorite cooking magazines, all is well. I’ve become an expert at book placement. 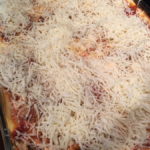 However, as is often the case, if the recipe is one I found, say on Food Network’s website or Epicurious.com, I need my iPad to sit up sort of like a book. A trick she has not quite mastered. I say that very often while browsing Amazon if we’re being honest. Kindles, iPad and Tablets are ideal companions in the kitchen: they make it easy to follow a recipe online, watch a cooking show, plan a meal or view images of finished dishes. 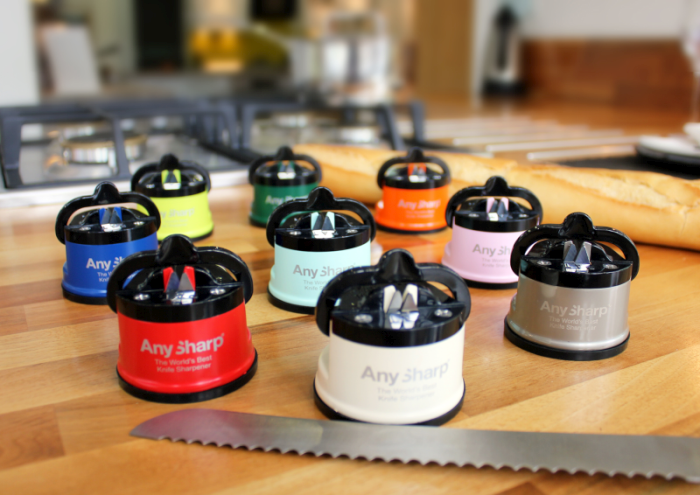 The challenge is keeping your tablet safe and clean while you slice, dice, mix, measure and stir. The iPrep was designed to securely bring your tablet into the kitchen and fits all popular tablets: iPad, iPad Mini, Kindle, Kindle Fire, Microsoft Surface, Samsung Galaxy and more. Prepara’s iPrep is an adjustable stand that will hold your tablet upright in portrait or landscape position, for easy viewing. 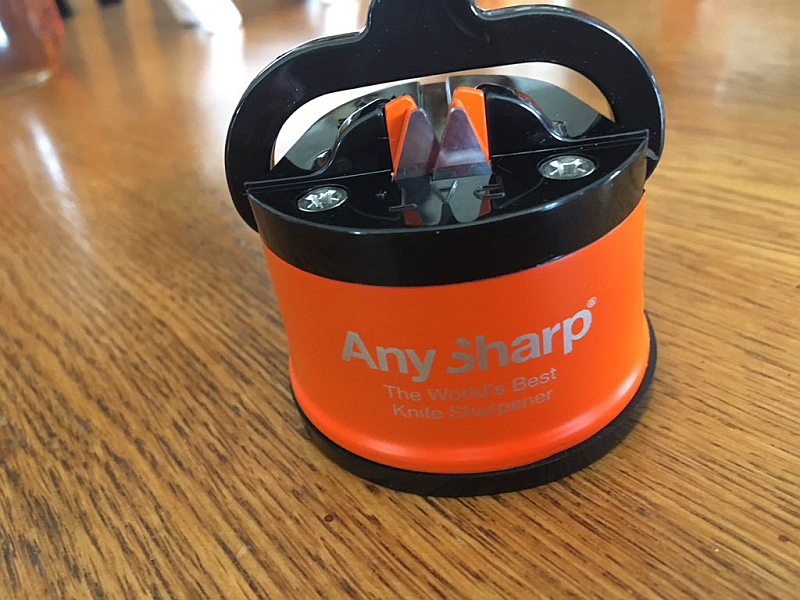 The base is weighted for stability and the back is adjustable (simply press the hinge release button) and offers four usable viewing angles. The back features a non-slip rubber grip to hold the tablet in place. An integrated stylus pen fits neatly into the base and is ideal for keeping the screen clean from messy hands. 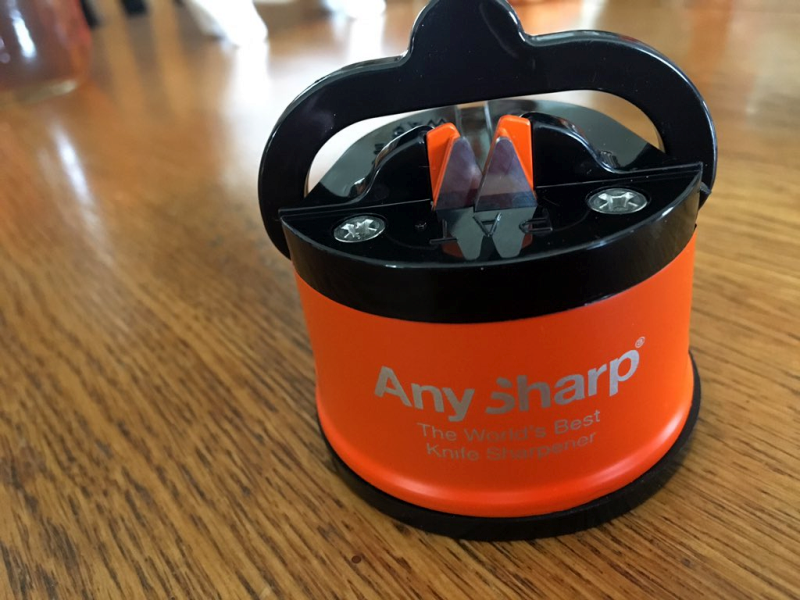 When not in use, the iPrep folds flat and for convenient storage. Not only Would this tablet stand be ideal for following recipes, it’d be possibly even more helpful when following along with a cooking video – following along as Rachael Ray, Alton Brown, or the Pioneer Woman whip up something wonderful has never been easier. See Prepara IPrep Tablet Stand and Stylus for more information. This would make a great Christmas gift idea for any foodie – after, of course, you buy one for yourself. Hey, you have to try it out first, right?! Well, there you go.